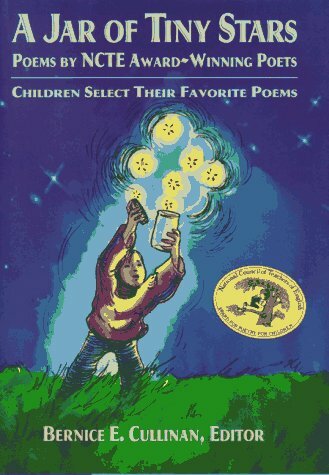 The Singing Green: New and Selected Poems for All Seasons by Eve Merriam [J 811 MER] is a book of children's poetry that I keep coming back to. Take a look at this poem, and tell me it's not worth revisiting again and again! Reply to the Question "How Can You Become a Poet?" Visit Betsy at Teaching Young Writers for this week's Poetry Friday Round-Up. Enjoy your weekend, and if you're in the southern NH area, visit the Friends of the Library of Windham's 30th annual Strawberry Festival and Book Sale taking place tomorrow at Windham High School. 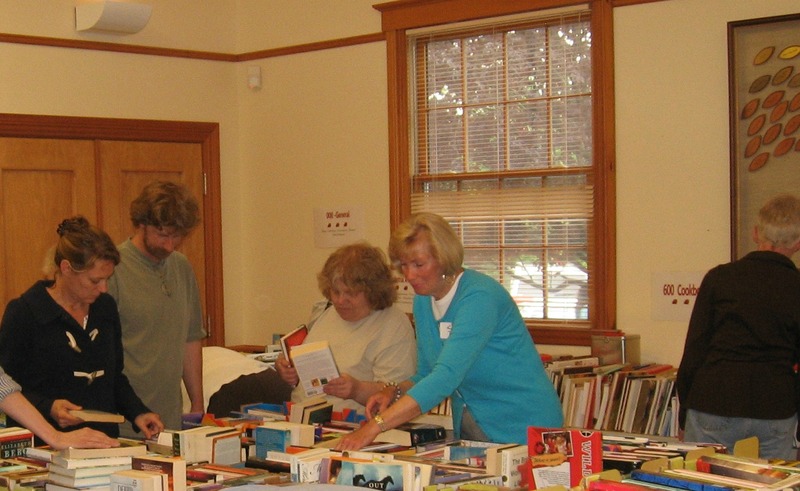 This Saturday is the annual Friends of the Library of Windham annual Strawberry Festival and Book Sale. 2013 marks the 30th year this grand community event is being held. 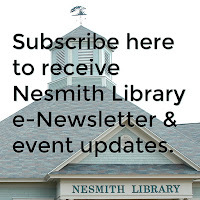 For 28 years it was held on the Library's grounds, but it outgrew our facilities, and now is being held at the more spacious Windham High School. Today, and tomorrow until noon, the Book Sale is being held at the Library, it will be moved to the High School on Friday afternoon and reopen on Saturday during the Strawberry Festival. Shoppers found the tables loaded with bargains! Don't forget to browse through the puzzles, too! Stock up on your summer reading now! See you Saturday at the strawberry shortcake booth! After the devastating tornado in Oklahoma, you may have wondered about tornadoes, and if they are a real threat here in New England. One look at the map below, should put any worries to rest. Tornadoes in this region are rare, and, are relatively small in size. 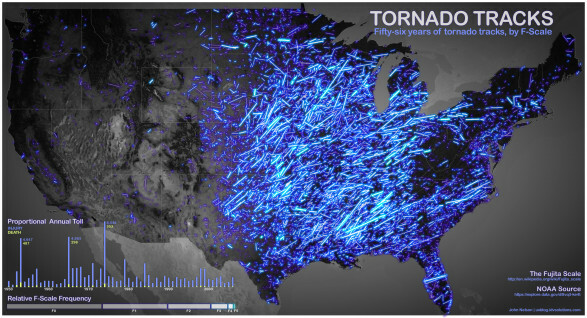 Tornado Tracks infographic by johnmnelson. To learn more about large tornadoes, look for F5: Devastation, Survival, and the Most Violent Tornado Outbreak of the Twentieth Century by Mark Levine [551.553 LEV], or Into the Storm: Violent Tornadoes, Killer Hurricanes, and Death-Defying Adventures in Extreme Weather by Reed Timmer [551.55 TIM]. We also have a DVD on the subject, Hunt for the Supertwister [DVD 551.6453 HUN]. The National Oceanic and Atmospheric Administration (NOAA) has an Online Tornado FAQ (frequently asked questions) page, too, to provide you with the basics. Sadly, at this time of year people often come upon baby animals in need of rescue. The National Wildlife Rehabilitators Association has two handy little charts on their "Help! I've Found an Animal" page. You can find them here. The best thing to do would be to contact an expert. 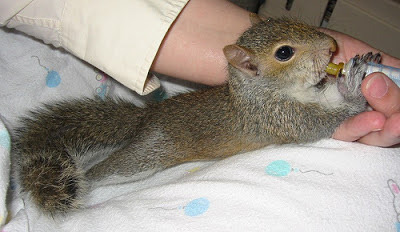 A list of licensed New Hampshire wildlife rehabilitators can be found here. First aid for wildlife: basic care for birds and mammals. You could also download Wildlife Care Basics for Veterinary Hospitals, a free manual from the Humane Society Veterinary Medical Association. 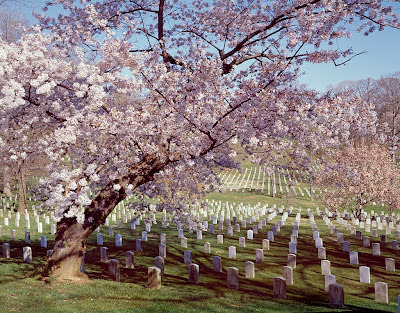 Photo of Arlington National Cemetery in the spring by Carol M. Highsmith, courtesy Library of Congress. The Library will be closed all day today for the Memorial Day Holiday. A colorful new book, Memorial Day, by Karen Latchana Kenney [J 394.262 KEN] will help children to understand what the holiday is all about! I'll leave you today with the opening lines of a poem by Michael Anania titled "Memorial Day." See you back at the library on Tuesday! Poetry Friday--Happy International Tiara Day! Grab your tiara and plop it on your head--it's International Tiara Day! Don't have a tiara? That's no excuse not to celebrate--visit the Library and borrow Crowns and Tiara by Kerri Judd [YA 745.5 JUD] and get busy making your own! The first friend to come along is a giraffe, followed by hippo, followed by a zoo-ful of others. If you've never read May I Bring a Friend? you should really make a point of visiting the Library to borrow it! Hopefully your tiara hasn't fallen off yet! Hold onto it before heading off the this week's Poetry Friday Round-Up being held at Jama's Alphabet Soup. 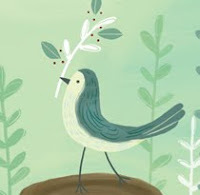 Jama always has something wonderful cooking at her blog! If you don't have plans for the Memorial Day weekend, then let me suggest a trip to Boston and the Museum of Fine Arts. This weekend the MFA is having a special "Free Memorial Day Community Weekend" in which admission is free Saturday through Monday! Graphic courtesy Vancouver Modern Quilt Guild. 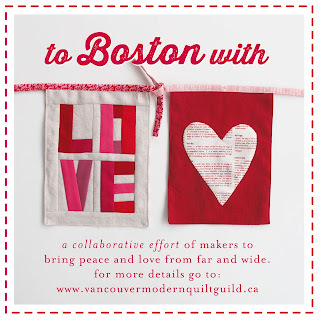 A special feature this weekend at the MFA is "To Boston With Love." Visit “To Boston With Love,” an installation of hundreds of hand-sewn squares created created by quilters in the US and around the world, including Canada, England, Ireland, France, Holland, Australia, Japan, Brazil, and Africa. Each mini quilt delivers a message of peace and hope and is signed on the back by the artist, with his or her country. The Marathon bombing was an event that scarred not only Boston, but all of us here in the region. It is comforting to receive a show of support, and what better way than through the gift of a warm quilt. You can preview the exhibit by visiting the "To Boston With Love" flickr group. As of Monday, there were over 400 photos! If you don't get to the MFA this weekend, reserve the Library's pass for another time (the exhibit will remain at the MFA until July). A word of advice: don't go to the exhibit without a hankie! 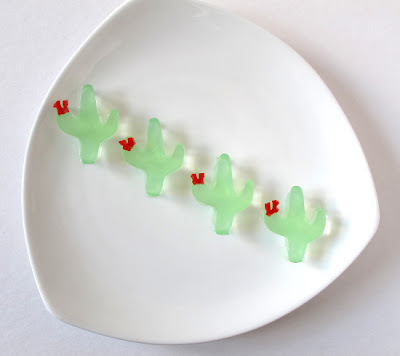 Courtesy of The Jello Mold Mistress. If you like "booze-infused" desserts, then look for Spiked Desserts: 75 Booze-Infused Party Recipes [641.62 SPI], and, if you're particularly fond of jello, you may be interested in Jell-O: A Biography by Carolyn Wyman [664 WYM]. This video made its way around Facebook after Mother's Day. I hope you find it as amusing as I did! We have plenty of books on pregnancy and childbirth found in the 618.2 section, with cutesy titles such as Pea in a Pod, Expecting 411, or Belly Laughs: The Naked Truth about Pregnancy and Childbirth, however, for the gentlemen in the video, I'd like to direct them to Motherprayer: The Pregnant Woman's Spiritual Companion by Tikva Simone Frymer-Kensky [296.7 FRY]. News came of the passing of children's book author and illustrator, Bernard Waber. He was 88. Waber's long publishing career included the popular titles, Lyle, Lyle, Crocodile [JP WAB] and Ira Says Goodbye [JP WAB]. We have 20 of Waber's picture books in our children's room, many of which feature the lovable Lyle. Here's a preview from the Seattle Children's Theater's production of Lyle, Lyle, Crocodile. Waber's books have been performed on stage as musicals! HBO has also produced Lyle, Lyle, Crocodile as one of its series of "Storybook Musicals." Bernard Waber will be missed, but his characters will live on. Today is the anniversary of the first running of the Kentucky Derby. The event took place in 1875 at Churchill Downs. This year's Derby, the 139th, was run on May 4. There's an awesome picture of the 2013 mud-covered winner, Orb, on the Kentucky Derby home page. Today I have a poem by Mark Strand called "Two Horses." It appears in the "Everyman's Library Pocket Poets" anthology, Poems about Horses (edited by Carmela Ciuraru) [808.819 POE]. came up beside me to drink as well. This is amazing, I thought, but who will believe it? but haltingly, as though not really wanting to be heard. The horses must have sensed that I was holding back. in another life—the one in which I was a poet. we changed styles almost as often as their were days in the year. Ed is the host of the Poetry Friday Round-Up at Think Kid, Think! 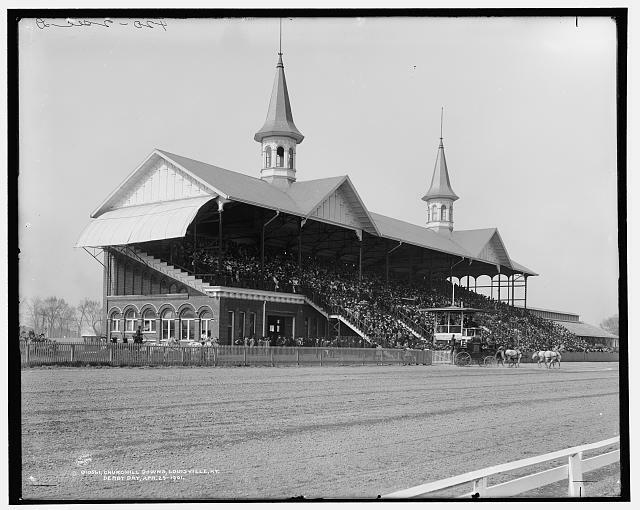 1901 photo of Churchill Downs courtesy Library of Congress. Early education is the key to our planet's future. If we can educate children to value and appreciate the planet and its creatures, then, when the debate finally comes round to saving the planet, we stand a chance of achieving that goal. Good.is posted an interesting article back in January, "Solar Panels and Schoolyard Chickens: A Net-Positive Campus". From the article we learn that cities around the country are now working on "net-zero energy" buildings for schools. You can learn more about green schools through the Green Schools Alliance. Along with schools, there are other public buildings that can be built green, and, if you think that net-zero buildings can't be constructed in New England, think again! Click here for the Northeast Sustainable Energy Association's 2013 Zero Net Energy Building Award, which was built on the coast of Maine. 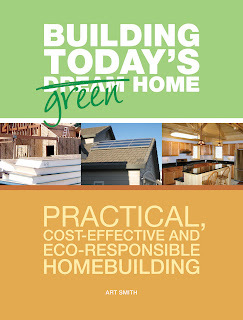 Private citizens, too, can think about energy efficiency in new building projects, or in renovation. We have several books in our collection that touch on green construction, including The Everything Green Living Book by Diane Gow McDilda [640 MCD]. 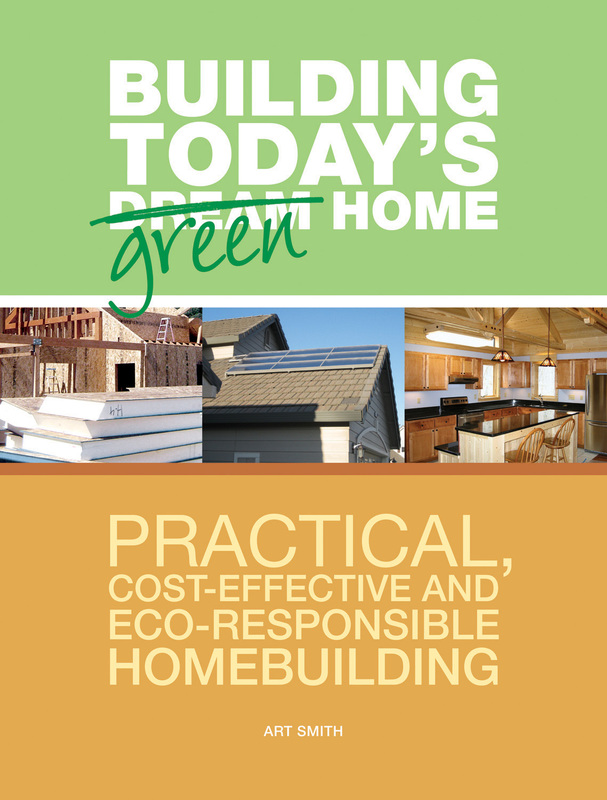 We also have a 3M ebook, Building Today's Green Home Practical, Cost-Effective and Eco-Responsible Homebuilding by Art Smith, which you can download on your phone, tablet, ereader, or computer. And, don't the U.S. Department of Energy's website where you'll find energy efficiency information and tips. On this day in 1856, L. Frank Baum was born in Chittenango, New York. Baum was, as everyone probably knows, the author of The Wonderful Wizard of Oz [J BAU]. Baum died in Hollywood, CA in 1919. 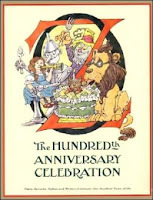 This was long before the book was made into a big Metro-Goldwyn Mayer musical production, The Wizard of Oz [DVD WIZ]. The Wonderful Wizard of Oz was first published in 1900, and, in 2000, Oz: The Hundredth Anniversary Celebration [J OZ] was issued in commemoration. It contains essays and illustrations by 30 children's authors and illustrators. The cover illustration is by the late, Maurice Sendak! Also released in 2000, was The Annotated Wizard of Oz: The Wonderful Wizard of Oz [F BAU]. The "Wonderful Wizard of Oz" is the quintessential American fairy tale, but it is also a controversial children's book. This annoted edition illuminates the numerous contemporary references, provides character sources, and explains the actual meaning of the word "Oz". A facsimile of the rare 1900 first edition appears with the original drawings by W.W. Denslow, as well as 25 previously unpublished illustrations. There is a bibliography of L. Frank Baum's published work, every notable "Oz" edition and the stage and cinematic productions from 1939's "The Wizard of Oz", to the 1974 Broadway hit "The Wiz". --Publisher's description. If you're going to be anywhere near Baum's birthplace on May 31, you should be sure to attend this year's Oz-Stravaganza! "Space Oddity" performed by Commander Chris Hadfield aboard the International Space Station! Commander Hadfield has several other space and music videos on his own YouTube channel! And if you want to hear the original recording of "Space Oddity" by David Bowie, look for Best of Bowie [CD ROCK BOW]. A Guide to the Complex World of Airline Fees infographic by visually. Click on the image to enlarge. Summer is coming! Many of you may be traveling long distances by plane and although total travel time may be reduced, that doesn't necessarily mean that your travel experience will be easy. Top on your list of unpleasantness is probably your dealings with the airlines. Jonathan Miles has written a humorous novel titled, Dear American Airlines [F MIL] that will make your airline experiences pale in comparison! With the weather being as great as it has been over the past week, thoughts turn to baseball. We're lucky in that we have a major league team a mere 45 minutes away down at Fenway. And, we're also lucky in that we have minor league teams within 20 minutes of us either north (NH Fisher Cats) or south (Lowell Spinners). 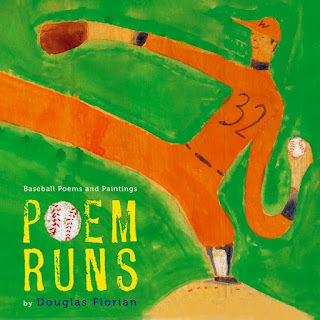 Florian has a fun blog for you to check out, Florian Cafe, on which he describes himself as "poet, painter, pooh-bah." Anastasia is holding the Round-Up this week at her Poetry Blog. See you there! In the fall, I saw an amazing series of graphics that illustrated the epidemic spread of diabetes across the nation over a period of just 15 years. Take a look here, then ponder how your eating habits may result in you becoming a statistic. The diabetes epidemic is not only costly to the individual, but it is leading to increased healthcare costs for the nation as a whole. Infographic courtesy Clinical Trials GPS. On April 15, the day of the Boston Marathon bombings, people tried desperately to get in touch with loved ones and friends whom they knew were down in Boston. Cell service was interrupted. Chaos reigned. One of the wonders of the internet is its ability to provide needed information almost instantly. Wired.com quickly posted an article titled, "How to Get in Touch With Loved Ones During a Disaster." Click here for the article. Read it carefully several times, discuss it with your family, and pray you never will have to use the information contained in it. Adults may wish to read The Edge of Disaster: Rebuilding a Resilient Nation by Stephen Flynn [363.34 FLY]. A while back, one of the buzzwords in education was "Multiple Intelligences." Multiple Intelligences was explored by Harvard Professor, Howard Gardner. Gardner wrote several books on the topic, including The Disciplined Mind: Beyond Facts and Standardized Tests, the K-12 Education That Every Child Deserves [370.1 GAR]. The Disciplined Mind, published in 2000, came right before the "No Child Left Behind" movement, and, in the wholesale adoption of standardized tests, was nudged out of the picture. But, now, in 2013, testing seems to have reached the point of ridiculousness. I found this opinion expressed recently in an article on standardized testing in kindergarten! There is a growing pushback against testing, and the corporations that profit greatly through the use expensive testing materials. Parents are selecting to opt out of having their children tested. Think back to when you were in school and had to do a research paper. Were you asked to use "primary sources"? It might have been a confusing and difficult assignment. Now, in the age of the internet, it is much easier to find primary sources. A School Library Journal article, "Getting Kids Engaged with Primary Sources," by Richard Byrne, lists several online sources that an adult, especially a teacher, could use with students. One of those listed, Historical Scene Investigation, might even be of interest to adult history buffs and people who enjoy the PBS program, History Detectives! Before getting into the internet, you could quickly introduce a student to what makes a primary source. 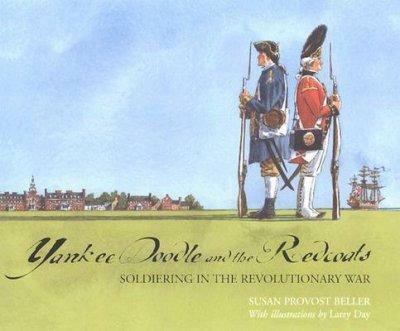 Look for this book: Yankee Doodle and the Redcoats: Soldiering in the Revolutionary War by Susan Provost Beller [J 973.3 BEL]. The soldiers of the Revolutionary War (1775-1783)--the American Yankee Doodles and the British Redcoats--had countless stories to tell. Using excerpts from soldiers' diaries and letters home, author Susan Provost Beller brings the daily struggles of the Revolutionary War soldiers to life with first-person accounts of battles, as well as commentary about camp life, weather, food, and equipment. Bringing the experience to life for the student may be all that is needed to spark an interest in history. And with any luck, the spark may grow into a fire! Poetry Friday--"I Left My Head"
If I didn't know better, I'd say the following poem, by Lilian Moore, wasn't written for kids, but for those of us who are a few years beyond 50! The poem is found in the anthology, A Jar of Tiny Stars: Poems by NCTE Award-Winning Poets, edited by Berice E. Cullinan [811.54 JAR]. This book definitely belongs in a select group of children's poetry books I'd call the if-you-can-only-have-one-children's-poetry-book-this-should-be-it list. Visit Elizabeth Steinglass where you'll find her rounding up the Poetry Friday posts for this week. 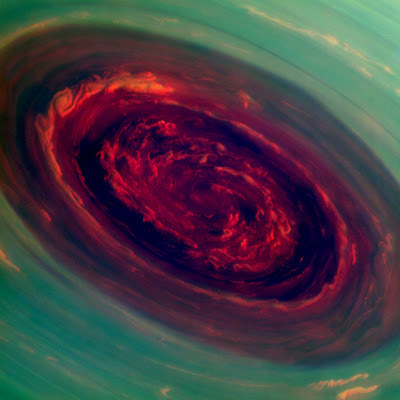 Earlier in the week, NASA's "Image of the Day" was this amazing photo they called "The Rose." Thinking about how NASA uses the familiar (a rose) to make the unfamiliar ("the spinning vortex of Saturn's north polar storm") more accessible to the general public, puts me in mind of the stories the ancients developed to explain the unexplainable. For example, the constellation we know as the big dipper, has other names dependent upon the culture explaining it. Wikipedia has an extensive article that explores the names of the big dipper, click here. 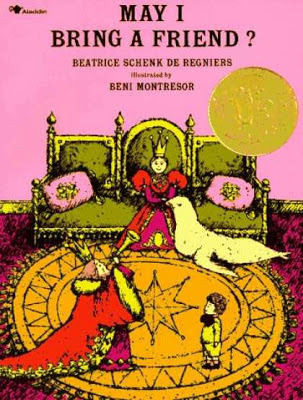 Many children's books illustrate celestial phenomena. There's Legend of the Milky Way by Jeanne M. Lee [JP LEE], which retells a Chinese legend, or Her Seven Brothers, a Cheyenne tale of the big dipper, retold by Paul Goble [JP GOB]. And, look for the CD by Tickle Tune Typhoon, Singing Science [CD CHILDREN TIC], which has a catchy little tune called, "Constellation Cowboy." Our butterfly garden, maintained by the Windham Garden Club, is only beginning to green up. Check back in a few weeks when the butterfly extravaganza begins!